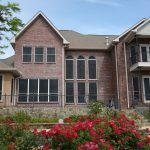 What Is Waterproof Outdoor Fabric & What's Right for Your Project? Soggy outdoor upholstery and cushions that soak up water are no fun. We’ve all accidentally sat down on a squishy chair outside and gotten an unpleasant surprise from the cold, clammy fabric. 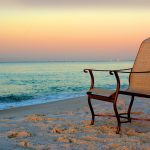 When you’re looking for waterproof fabric for outdoor seating, it can be a little confusing to understand what manufacturers really mean when they call something waterproof and how to choose outdoor fabric that delivers premium performance -- come rain or shine. Here’s everything you need to know. At first glance, the term “waterproof” seems perfectly straightforward, but the practical definition can be harder to pin down. There is no one standardized measure, so the term “waterproof” is a term that gets thrown around a lot when it comes to outdoor fabric. People and companies may use the word waterproof when they actually mean water-resistant or water-repellent. Without some degree of breathability, waterproof outdoor fabric can encourage the growth of mold or mildew inside a cushion: if a small amount of water sneaks in through a seam, it will stay there. Instead of drying out quickly, the dampness in the cushion will quickly become a breeding ground for microorganisms. Truly waterproof upholstery fabric that doesn’t breathe can also make for an uncomfortable seat on a hot day, creating a sweaty, sticky surface wherever it comes into contact with your skin. 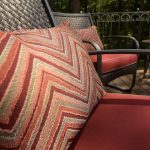 The best “waterproof” fabric for outdoor cushions and upholstery may not actually be waterproof at all. When you’re talking about textiles for furniture applications, you should instead look for a fabric that is water resistant or water repellent and that also allows for good airflow. “Water-resistant” is a more transparent term for fabric that won’t be damaged by contact with water. Water-repellent means that the fabric is not absorbent: if you get it wet you’ll mostly see the moisture beading on the top of the fabric instead of soaking in. When water-resistant fabric does get wet, the water that remains on the surface of the fabric will dry out quickly. What Makes a Fabric Water-Resistant? Material - The type of fiber a fabric is made from has a major impact on its water resistance. Natural fibers such as cotton can be highly absorbent, soaking up water and hanging onto it. (Pro tip: That’s why cotton makes for such great bath towels but isn’t great for outdoor upholstery!) Man-made fibers can vary in their absorbency, but some are naturally hydrophobic, which means that they repel water on a molecular level. Fabrics with olefin or vinyl content are good examples of this. Treatment - Many so-called waterproof materials may not naturally repel water, but have been treated with special “waterproofing” solutions or agents that are applied or sprayed onto the surface of the fabric after it has been woven. The solution (which could be made from rubber, wax, polyvinyl chloride or some other mixture) forms a coating that acts as a barrier between moisture and the fabric. Weave - High-denier or high-density fabrics can be more water repellent than more loosely woven fabrics. The more tightly a material is woven and the higher the thread count, the more difficult it is for moisture to penetrate the fabric. For outdoor furniture, the material factor is usually the most relevant. Naturally hydrophobic fibers will create an outdoor fabric that won’t absorb water, will air dry quickly after getting wet, and won’t encourage the growth of mold and mildew over time. 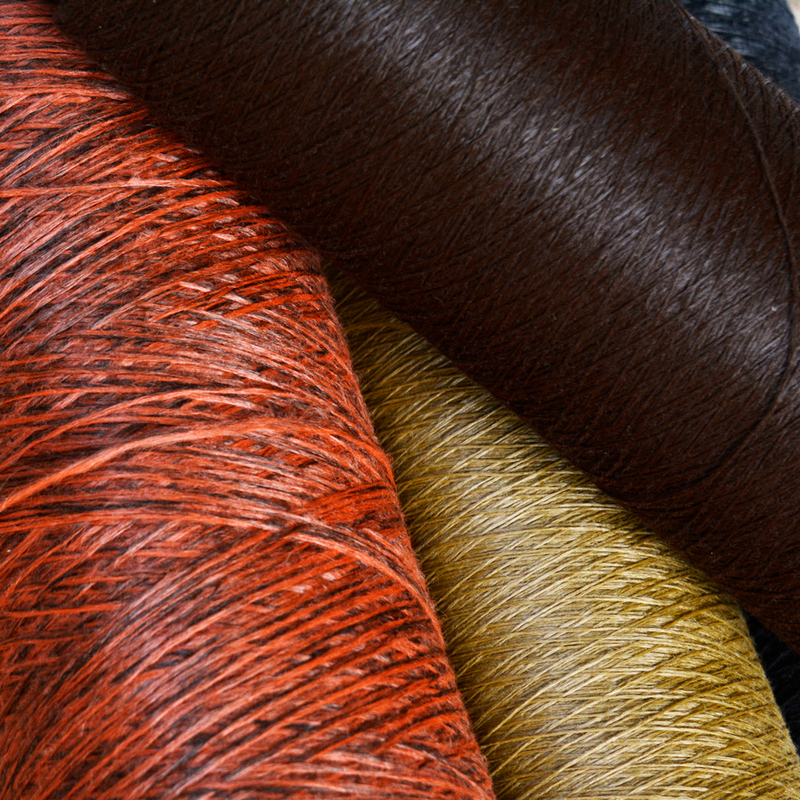 Olefin yarns are spun from polypropylene fiber, which is water repellent. Not only does it not absorb moisture, it actively pushes it away. It’s often used as a base layer for runner or hiker’s garments because it forces moisture to spread out and causes it to dry so quickly. That same quality makes it an excellent choice for outdoor uses. Because wetness doesn’t penetrate the fiber, a spilled glass of wine at a backyard cookout can be easily wiped up and is less likely to cause stains. It will also air dry in a snap after rain or a wash.
Polyester is naturally water-resistant, but once you coat polyester yarns with vinyl or PVC and weave them together, the water resistance is off the charts. The coating on each strand of yarn in the fabric protects the polyester, and keeps water from penetrating into the fiber. 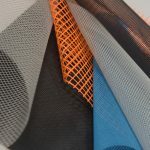 Because this brilliantly water-resistant outdoor fabric is a mesh, air flow is excellent: whatever water doesn’t pass right through the mesh will dry super fast. In many parts of the country, summertime doesn’t just mean sunshine. It also brings thunderstorms and high humidity. Under these conditions, you need water-resistant fabric that will repel water and dry quickly between storms so that it’s ready to use when the sun does come back out. The more rain your location gets, the more important it is to choose a water-resistant fabric. Constantly damp outdoor fabric isn’t just uncomfortable; it’s also at risk for developing problems with mold, mildew, and rot. These problems are unsightly, smelly and can shorten the usable lifetime of a fabric. 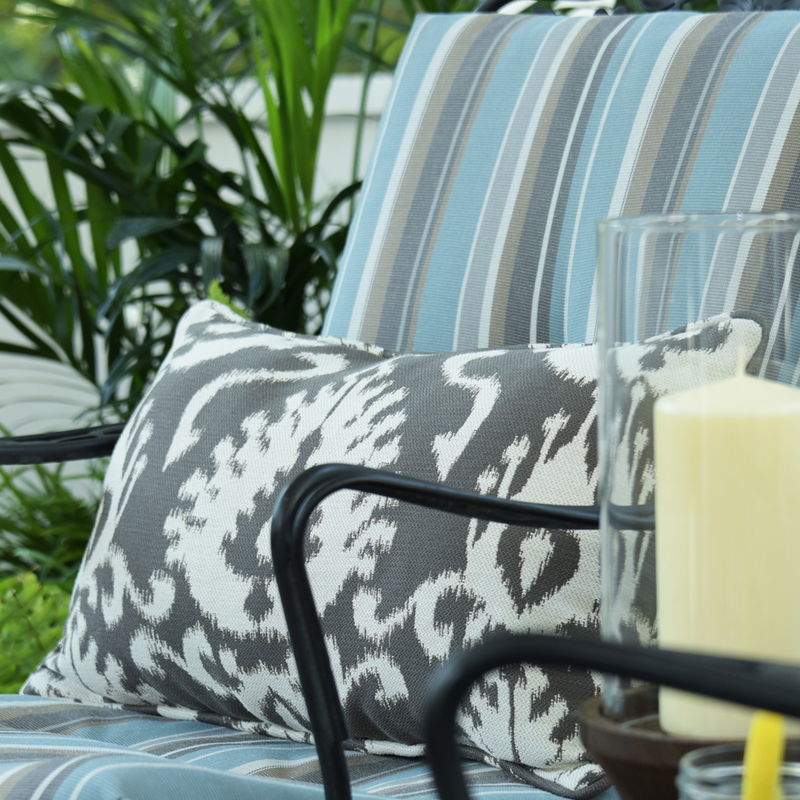 When you invest in a high performance water repellent fabric, your outdoor furniture will stay looking and smelling great for longer, even in wet, humid climates. Phifer offers a wonderful range of water-resistant fabrics designed to stand up to the demands, spills, splashes and rainy weather. With a beautiful soft feel and a wide array of colors, intricate patterns and interesting weaves, GeoBella is a spectacular indoor/outdoor fabric with a design-led sensibility. Woven from 100% solution-dyed olefin, this is a very water-resistant fabric. It’s stain resistant, UV/fade resistant, GREENGUARD® Gold certified, eco-friendly and 100% recyclable. Ideal for projects like cushions, curtains and upholstery, GeoBella​ is a first-choice fabric wherever you need a sophisticated aesthetic combined with high performance qualities. Durability meets design in our vinyl-coated polyester fabric lines. Phifertex​ fabrics are extremely water resistant. What’s more, they are infused with Microban® protection, to disrupt and slow the growth of mold, mildew and bacteria. 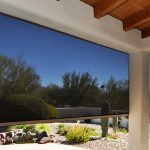 Phifertex​ is also stain resistant, easy to clean, and UV/fade resistant, so it will stay looking bright and new for years. 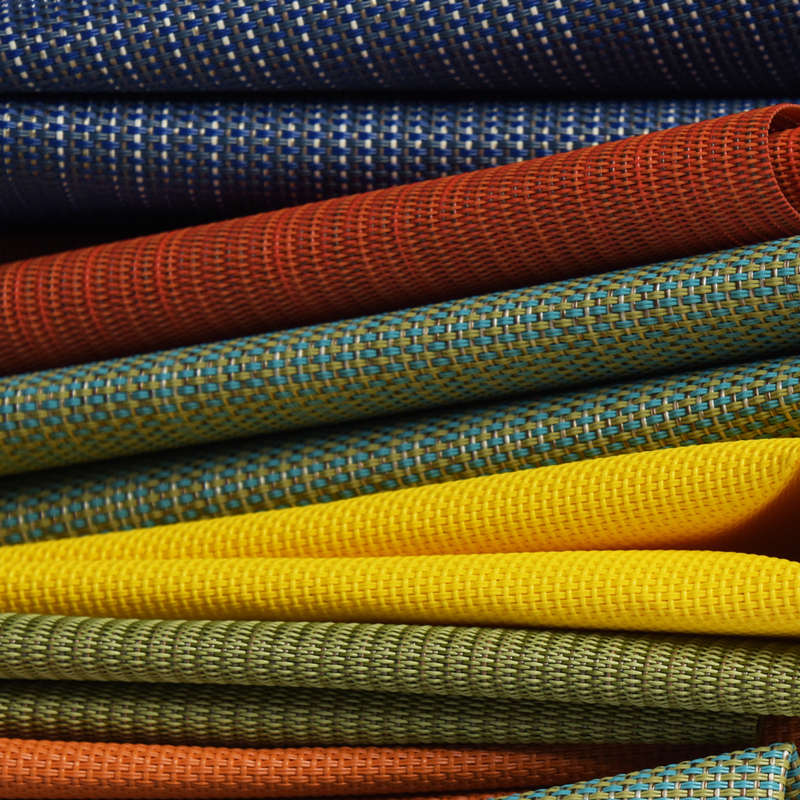 You’ll find Phifertex​ fabrics in an inspiring range of colors, weaves and patterns. The dimensional stability and exceptional strength of Phifertex​ means that it is a perfect choice for sling chair applications. This easy to work with fabric doesn’t fray when cut, so it’s also a beautiful option for quick no-sew projects like table runners or placemats. Phifertex​ holds GREENGUARD® Gold certification. Want to see how our water-resistant fabrics might look in your backyard? Try The Phifer Outdoor Fabric Visualizer! You can preview countless color and texture combinations with our sample images. Flex your design skills and get inspired! Researching waterproof fabrics can be challenging. 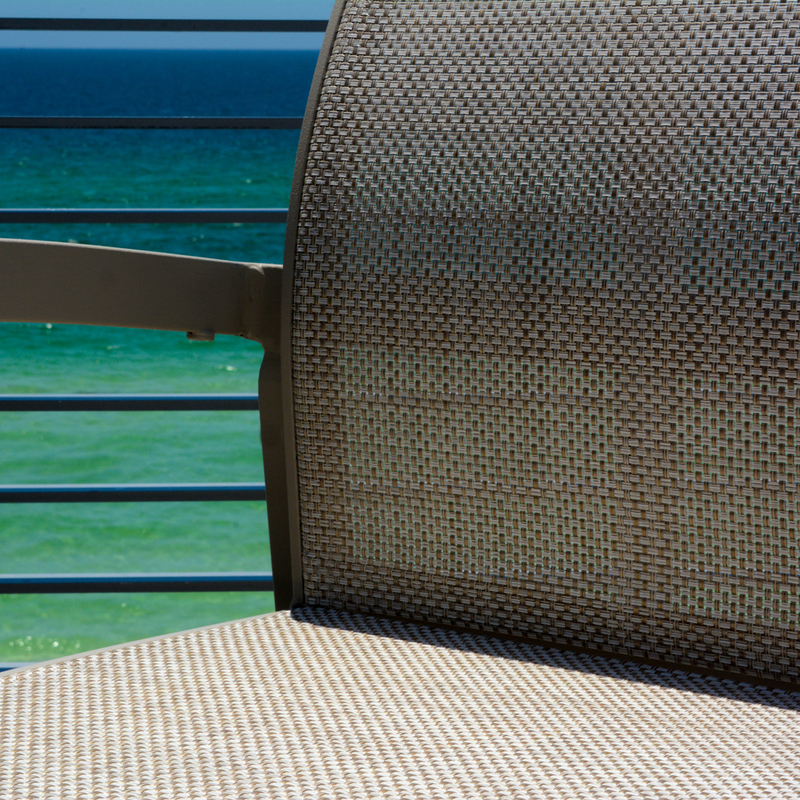 If you still have questions about Phifer’s water-resistant outdoor fabric, get in touch with us! We are always delighted to offer you answers and advice, wherever you might be in the research process. If you need help sourcing fabric for your next DIY adventure, we can also connect you to retailers nearby or online who stock your favorite designs.